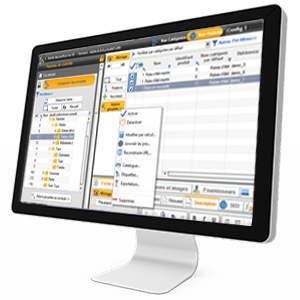 Merlin Backoffice ® is an addon allowing the complete management of the PrestaShop catalog in an optimal way. It was born from the fusion of the famous PrestaPricing and PrestaCategories modules, which became indispensable for many e-traders. Integrates two working methods: bulk update and edit of products and categories or csv/xls importation of data. No other module allows such as fast catalog management. Whether for changing multiple products in bulk or just managing your store quickly, Merlin Backoffice ® offers a variety of simple, easy-to-use, and so fast tools. Every day, working up to 100 times faster, save valuable time on the tasks of managing your products catalog. Be finally successfull to imports CSV of products and categories in PrestaShop, thanks to this module, whatever the source of the file, and its format. Allows unlimited imports of files of any size, without time-out. Set up 500 specific prices the day before the sales ? : 5 seconds! Increase all catalog prices by 15 % ? : less than a minute on thousands of products. Round to 0.99$ 2000 selling prices : 30 seconds! Whether it is to migrate the catalog from one version to another of PrestaShop, to export to market places or to print a PDF catalog for your customers or sellers, Merlin Backoffice ™ brings a simple and totally customizable solution. Includes: Two free publishers for generating and printing PDF catalogs and labels with photos and barcodes. With the cvs and xls import planner, this software will allow you to focus on the essentials, sell. Synchronize your products becomes easy and fast, almost playful. You can automate almost everything, from the download of files provided online by your providers or dropshippers, to PrestaShop re-indexing after the importation. It has no equivalent to so quickly create new sub categories or manage them in blocks. Allows both duplicate and move groups of categories and seconds. In a short period of time, you will be able to completely reorganize your catalog, batchly associate the products with the categories and choose the products of the home page very quickly. It is the only module in its category to offer free tools to optimize your texts in SEO fields in bulk. Like replacing one word by another in the description of hundreds of products, in one action. Forget about the hassle and bugs of PrestaShop's multi-store management. Merlin Backoffice ® will quickly become a must for the success of your multi-sites e-commerce business. This is the only module that allows you to pass entire categories or a selection of products from one shop to another, in a single click, an to manage the cross-associations in batches. All operations (over 450 features), are designed to allow you to work in one, or any selection of shops. Whether it is for inventory updating by import, manually or by calculation, everything is so much simpler when using the right tool. Increasing quantities by mass, carrying out inventory movements between warehouses, carrying out inventory, knowing the value of its stock or estimating the stock cover for each product, everything becomes possible and so simple. It is also the best application to integrate and update in a few seconds thousands of product variations. A unique generator and modifier of combinations: It can add or re-calculate without limit a very large number of combinations of attributes, on several products at the same time, while taking into account the declensions already present . Filter the products by categories and or any other parameters. Filter and choose items to associate, such as a list of accessory products and click a button. You saved days of work. 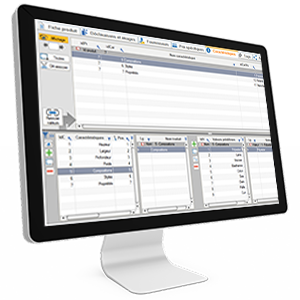 This addon integrates a palette of tools to repair the structure of the database. This has already saved the business of more than one e-merchant. With PrestaShop, it takes a minimum of 10 seconds per photo and as much to save the product page. With Merlin Backoffice ®, there is no waiting at all, everything is done in the background and leaves you free hands to continue working. Better still, it is capable to search and find by itself in folders to the proper photos to associate to the good products. Yes it can !